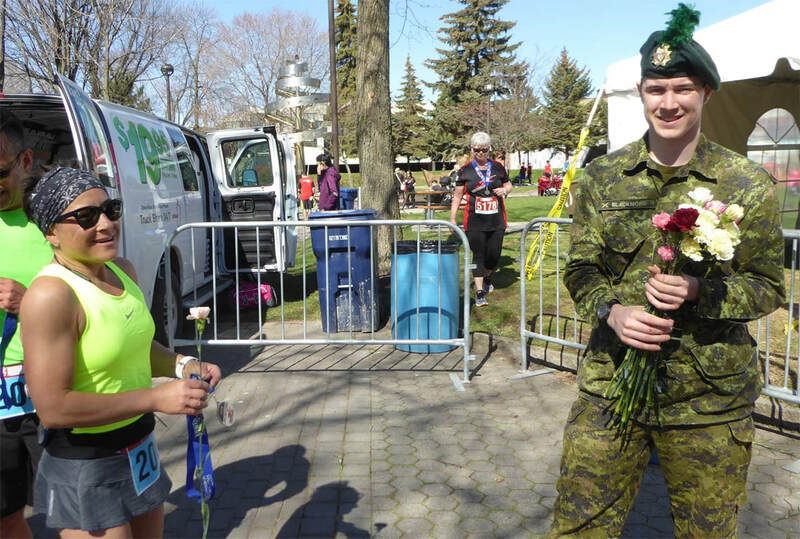 To celebrate this special day, we will be handing out special flowers for Mothers and all the Ladies as they cross the finish line. Here is how we celebrate MOTHERS! As a mother, nothing quite beats a Mother's Day run! This year is especially meaningful as I trained and ran with Lisa Adler; both of us have active 3-year olds, and NON-stop 1-year olds. Leading up to race day we both could have found respectable reasons not to run but, like all mothers must do, we settled for good, if not great, in our training. Our runs became our version of a weekly coffee-date; our kids always welcoming us home for sweaty kisses. Race morning started with a regular question for young moms "how did the baby sleep?" (4:30am for me, 6:00am for Lisa). As we pass other female runners, volunteers, organizers on the course, we smile, knowing that their day started like ours: kids up, fed, brushed, dressed, dog walked. Check! Making sure the family is "good to go" before any of us moms even try to step into our own shoes. En route, Lisa and I took advantage of the best perk of the race - almost 2 hours of uninterrupted talk time! Our lovely chaperones, Mike Sheridan and Mike Wilson, kept good pace and company (until our inner rebellious teenagers took over and we blew by them 5km out from the finish line!). We finished the Half with a respectable 1:54 time; not our pre-kids best, but we felt strong throughout and kicked it up in the final KMs. I stumbled on this post that I'd written after a great ROCKS race in 2013. Lots has changed in those five years and I've learned more lessons about why its important for moms to keep running. We moved to 'the Valley'. Run dates with my husband Jamie on the Valley trails taught me how important it is for couples to prioritize health, and each other, as a way to set good examples for our kids. Our girls welcome us home with fewer sweaty kisses than they did five years ago because, instead, they are outside riding bikes and skateboards, being the active girls we want them to be. I finished my PhD. Over the last five years, my research pointed to some scary statistics about the rates that girls and women leave sport, but also the importance of community organizations, like the ROCKS, in encouraging and celebrating female participation. ChipTime recorded 58% of ROCKS finishers as female, with women rocking the 10km (making up 69% of the pack!). It was fantastic to see so many people pushing strollers, really emphasizing the family-friendliness of this event #championher. My mom died. A few days after I completed the 2013 ROCKS half marathon, my mom, Wendi Belanger, passed away. This year, instead of going straight from run to hospice, I went to the mausoleum and thought about how much my mom would have loved a day like this: sunshine, smiles, and positive energy all around. 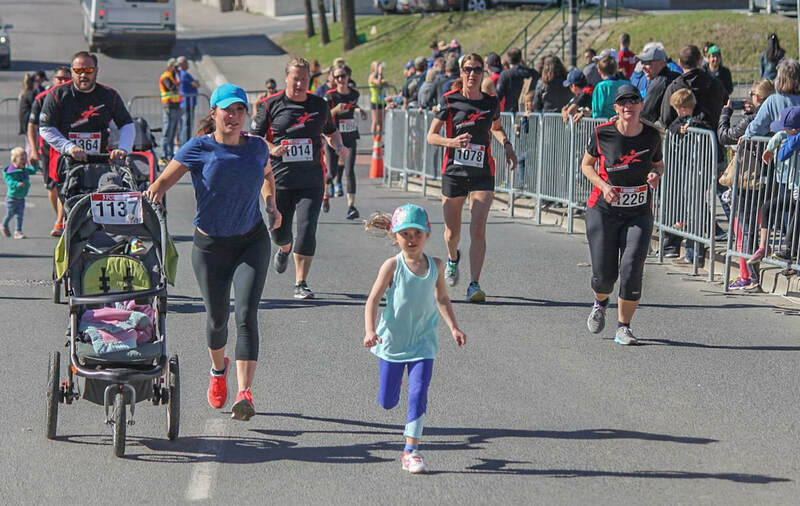 She would have especially loved seeing the little ladies that my daughters have become, energetic and confident, as they crossed their first 5km finish line at 6 and 8 years old. I am sure I wasn't the only one on the course who was missing, but celebrating, my own mom. I am inspired by the many mothers who finished strong, even when it hurt (Ania Derecka). On Mother's Day, I am glad to share it with the ROCKS: the runners, the volunteers, and the organizers who make this race unique. May 13th felt like a celebration of the kind of mother, and family, that we strive to be: active, healthy, happy, strong, and community-connected.